Over the period of its ownership most homes will experience some fairly substantial changes in the needs of the occupants, whether that be children growing up & leaving for homes of their own or new additions to the family requiring extra space, no home design can cover all eventualities without some changes. For most people a home is somewhere they cherish for much of their lives & so just selling up & moving to somewhere more suitable is not only not always financially viable but can also be an emotional wrench. Instead why not adapt the home you already have to better suit your currency needs. Extensions, conversations & renovations can all breathe much needed life into any home & at Wheeler Developments we are proud to say that we have adapted many, many homes for our clients over the years, creating happier more usable spaces for all of them. Maybe it is time you let us do the same for you? It’s fair to say that most people purchase a 3 story house & then spend their entire lives living in only 2 / 3rds of it. 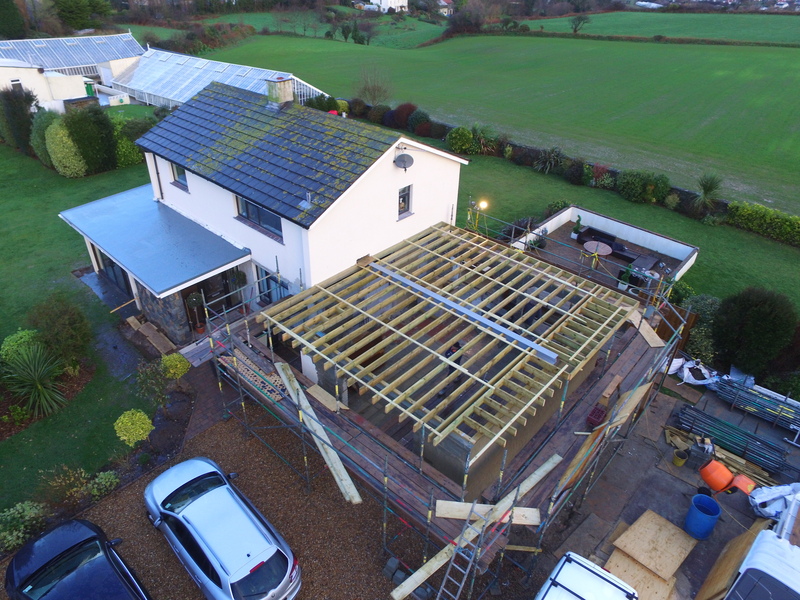 Loft conversions – even small ones – are a great way to maximise the useable floor space or your home without having to extend & eat into those valuable garden or parking areas. If you find yourself in a position where the dream of supercar ownership has now made way for wishing you had a little more floor space for the grandchildren’s toys it might be time to consider converting the garage into more useful room. Garage conversions can be relatively painless & free up some very welcome space without affecting the overall look for the property. Is there anything more frustrating than watching a great Chef on tv & then losing all that inspiration the minute you set foot in your own kitchen? If the “heart of your home” no longer matches your desire for culinary flair then it’s probably time for a refresh or rebuild. Whether changing styles by simply replacing doors or a full rip out & redesign, a kitchen renovation will have your creative juices fired up in no time. Lets face it, we’ve all – at one point or another – had to suffer the frustration of waiting for a member of the family to get out of the bathroom, usually when we are already running late! An extra bath or shower room can significantly reduce early morning tensions around the house & help to ensure that every member of the family leaves the house fully prepared to start their day. Stuck for space when ironing? Fed up of dirty boot marks on your kitchen floor? or maybe there is just nowhere to stack the mountains of washing your children constantly churn out. Very likely it is time for a utility room! With a multitude of useable options – small or large – we can add a utility room anywhere, reducing the stress of household chores, leading to a happier household for everyone. Now the children have flown the nest perhaps it’s time to spread out a little more, turning their vacated bedroom into a luxury dressing room or even extending your master suite. Converting unused bedrooms is a great way to refresh your home & more importantly treat yourself for surviving all those years of hard parenting. Because we spend most of our time inside of our houses most people tend to neglect, or at least forget, that exterior paint is the very first line of defense against the elements for your property. Keeping that paint clean & fresh can add years to your plasterwork & ensure your home retains that inviting look every time your return to it. Ask most people if they have ever even seen the full extent of the roof on their property & the answer will be a resounding no. Which makes it especially important to have the structure, coverings & associated rainwater removal plastics regularly inspected by an experienced roofer to ensure that this important structure keeping the wind & weather out of your home is in good working order. As one of the most prominent features of the exterior of any property a well laid driveway silently – but forcefully – introduces your property to any visitors, offering an indication of the level of quality & care that can be found within the house. Natural stones, bricks & gravel are low maintenance, long lasting materials that can add a stunning design element to the exterior of your home & as well as reducing wear & tear on your vehicle. Adding a much greater level (& sense) of security to any property, entrance gates can really set your home apart from your neighbors. Whether automated or manual, wood, aluminum or cast iron we can fit long lasting & visually stunning gates & garage doors to your property with the minimum of fuss, just as we already have for countless clients around the island. Adding a pond to your garden or property is not only a great way to encourage natural species growth & contribute to the fight against the mass urbanisation of the planet but is also a fantastic way to manage excess water that may be rendering your land unusable, or potentially even undermining your homes foundations. As a low maintenance & visually appealing way to manage uninhabitable land there is arguably no better option than the traditional lawn. Ideal for areas large & small a well kept lawn can add a sense of prestige to any property, as well as requiring little from the home owner to keep it at its best.